Stories from the Bible Copyright ÂŠ 2014 by Libraries of Hope, Inc. All rights reserved. No part of this publication may be reproduced, stored in a retrieval system, or transmitted in any form or by any means, electronic, mechanical, photocopying, recording or otherwise, without prior written permission of the publisher. International rights and foreign translations available only through permission of the publisher. 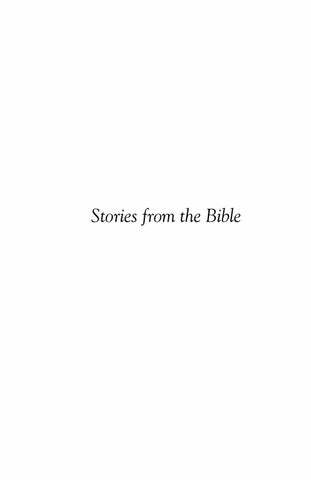 Compiled From: The Old Testament Story, Retold for Young People, by W.H. Bennett, New York: The MacMillan Company, (1898). A Childâ&#x20AC;&#x2122;s Story of the Life of Christ, by Helen Brown Hoyt, Boston and Chicago: W.A. Wilde Company, (1902).